The Dilemma of the Hybrid Author: Which Publishing Route to Choose Next? Author and creative writing tutor Lindsay Stanberry-Flynn shares the dilemma facing a growing number of authors who have been both traditionally published and self-published: which to choose? With the publication of my second novel The Piano Player’s Son by Cinnamon Press, I’ve been pondering my new status of hybrid author. Hybrid: the offspring of parents of genetically different stock, for example a mule. With a traditionally-published novel and a self-published novel Unravelling under my belt, I’m now officially a mule! The quality of stubbornness – commonly associated with the mule – is certainly a prerequisite for any writer, but what else does it mean to be a hybrid author? I self-published Unravelling in 2010, just before the massive expansion in independent publishing, before Kindle Direct Publishing, before ALLi was a glint in Orna Ross’s eye! I had always believed in the mantra if your work’s good enough, it will be picked up eventually. 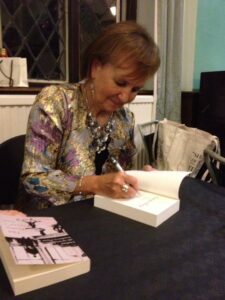 But with the upheaval in publishing over recent years, leading to the squeezing out of first- time authors, I realised this was no longer true – if it ever had been. Self-publishing was a lonely place in those days and I embarked on it reluctantly. I had seen some very poor self- published books back then, so I chose to publish with Matador, a company recommended even by Jonathan Clifford, famously anti ‘vanity’ publishing, hoping this would get me a high quality product, able to hold its own on bookshelves next to traditionally-published books. I am so pleased I took the plunge. Unravelling has been well-received, winning three awards and praise from readers. It’s brought me into contact with more writers and readers, and its publication gave me the confidence to call myself a writer. 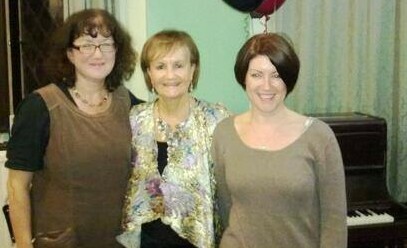 Having a book out was liberating. My work was no longer skulking in drawers, but clutched in readers’ hands. When emails from complete strangers saying how much they’d enjoyed it began to arrive, my cup seemed full. But – and for me, this is a big but – the thrill of having a publisher declare, ‘I love your book, and I want to publish it’ is immeasurable. Cinnamon Press says ‘we select books we feel passionate about. Our titles are unique, enjoyable and thought-provoking.’ To have that external validation – to join that list of ‘unique, enjoyable and thought-provoking titles’ – is enormously satisfying. In addition to this, The Piano Player’s Son was selected for publication in the 2011 Cinnamon Novel Award – a competition that didn’t exclude previously self-published writers. The novel was one of ten long-listed and five short-listed, eventually winning with a cash prize as well as publication. Instead of paying out money to publish my book, the production costs were covered and I received money as well! There are lots of positives to being traditionally-published, but what about the negatives? Certainly I’m more anxious this time round. If Unravelling had bombed, it wouldn’t have mattered to anyone but me. With The Piano Player’s Son, the expectations are Cinnamon’s as well as mine. Cinnamon’s costs and reputation are in the mix, and I hate the thought of the book not fulfilling their belief. There’s also the issue of lack of control, symbolised by the famously-difficult territory of the COVER. 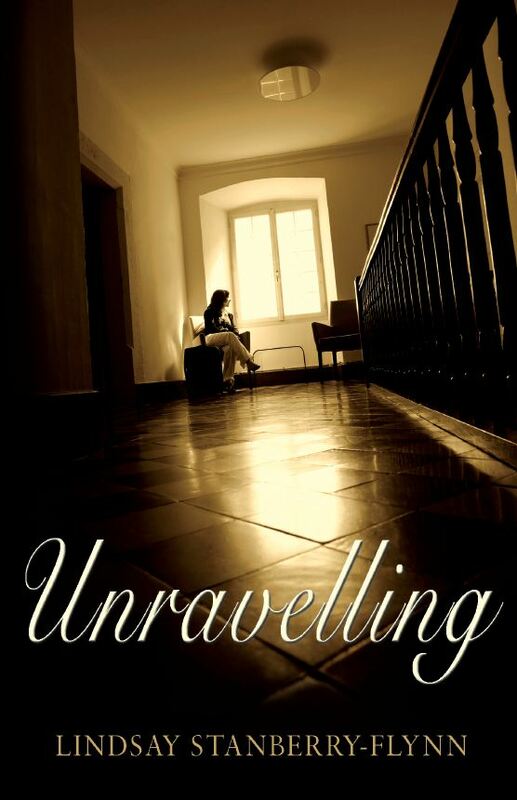 I love the cover of Unravelling, and I desperately wanted a similar success with The Piano Player’s Son. Cinnamon allowed me to find my own image, but when I first saw the suggested cover, it was nothing like I had envisaged. To say I was upset is an understatement. But Jan Fortune of Cinnamon is incredibly supportive of her authors, and although she remained convinced her designers had come up with a winner, she did allow subtle changes, and thankfully, I’ve now grown to love this cover as well. So, what’s the verdict – the traditional or independent route? I’d say both have their positives and negatives. For me, the most important thing is that my work should be read, and if a publisher is prepared to pay to make that happen – wonderful. Otherwise, the independent world has much to offer, and I can definitely feel it beckoning for my next novel. 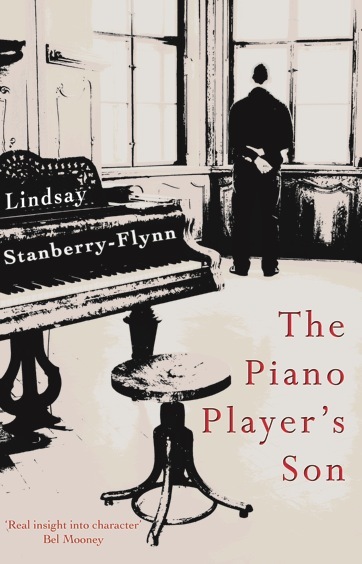 Lindsay Stanberry-Flynn, who holds an MA in Creative Writing from Bath Spa University, teaches creative writing and is the author of two novels, "Unravelling" and "The Piano Player's Son". Her author website is www.lindsaystanberryflynn.co.uk. 15 Responses to The Dilemma of the Hybrid Author: Which Publishing Route to Choose Next? I started as a self-published author in 2005. In 2007, I was approached by an editor at one of the big six (at the time). That deal ultimately fell through. In 2008, I was approached by a small press, and did a re-issue of one book through them. I’m currently entirely self-published. That might change tomorrow. It will depend on the deal. I bang this particular drum pretty often, but here I go again: authors should not think of themselves as needing to be loyal to their “indie” status, or overly hostile toward traditional publishing. Authors should think of themselves as creators and businesspeople… authorpreneurs… and be open to all options. I agree with you, Matthew. I think today’s authors need to be open to the possibility of both indie and traditional publishing, and to embrace the opportunities provided by each. I’ve enjoyed the experience of ‘being’ published, but I could well be back to self-publishing with my next novel. You might be right on the mule analogy! If hybrid means creating something new out of existing elements, then being a hybrid author is an innovative and exciting concept. Interesting post and comes at a pivotal time for me, in particular. The world is changing fast in terms of publishing, and I’m just finishing up my first novel in over 35 years. I used to be traditionally published – heck, in those days (the 1970’s) that’s all there was. Now I’m mulling over the possibilities, so your post has given me something to think over. At the moment I’m leaning toward going the Indie route, because of my background. I have been running a software company for 20 years and understand the tech stuff as well as marketing. However, I appreciate many people just want to write. What I found interesting in your post was the proposal of a hybrid model, and whether this will work for the publisher as well as the author? Yes, these are interesting times in publishing, David, aren’t they? Interesting and exciting. There are many more opportunities for writers, and so many are embracing them. I don’t think I would want to promote either self or traditionally published over the other – they each have advantages and disadvantages. I think many small presses are on board with the hybrid model – it’s the bigger corporate publishers who seem to want to cling on to the doorkeeper role. I agree, Rutchie, that being able to get your work out there without having to worry about rejection by editors and mainstream publishers is a huge advantage for the self-published author. It makes it so much easier to interact with readers. Congratulations on your success, Lindsay! And FWIW, I like the piano cover a lot. Very evocative. I feel like an old war horse more than a mule. Started at a small but prestigious literary press with first two novels, went on to Big 6 for novel #3 and a memoir, then did half a dozen NYT bestsellers as a ghostwriter while indie publishing novels #4 and 5. As you say, there are joys and frustrations with both. For me, it’s a question of which path is appropriate for this particular book, when I weigh my priorities — creative control, money, distribution options, etc — and set goals, not just for this book, but for my body of work. Thank you for the congratulations, Joni, and so glad you like the cover. It would be interesting if you compared the financial rewards for these two books – maybe some day down the road, when the marketing for each has produced the bulk of to royalties you expect from them. Validation is a lovely thought – but from the contracts I’ve seen and heard about, traditional publishing may not be financially feasible for many authors. You are someone who can make that comparison because you are hybridly published. Thanks for commenting, Alicia. The financial reward aspect is obviously a crucial one. I’ve got a feeling, at this stage, that the rewards might be greater from self-publishing, but it’s too early to tell for me. I’m sure others would know. That’s a great term – ‘hybrid authors’. My journey has been in the other direction, from traditionally published to self published. What I love about self publishing is the freedom to put out what might be more ‘niche’ books, but ones that I feel are worth publishing, and also the creative control over aspects such as the cover, as you mention. Of course there is all the work of marketing and publicity and proof reading to do, but I enjoy those aspects. I also like the idea that you can ‘farm out’ certain aspects of the process, such as actually making the covers, to freelance designers. I think the hybrid model offers us the best of both worlds. Thanks for this. I thought most ‘hybrid’ authors would probably be going in the opposite direction from me, Sue. I completely agree about the freedom aspect whether it’s niche books or the creative control. I can’t imagine what it would be like to be with a big publishing house who said ‘This is the cover – like it or lump it.’ I think that would destroy any pleasure in the experience. I agree – hybrid is good! Thanks, Debbie. It was an interesting post to write. I enjoyed reflecting on the two different routes to publication, especially the fact that there are positives and negatives to each. One thing seems clear – unless you are a very well-known author, the responsibility for promotion is in your hands, no matter which route. The indie author has the advantage here, knowing from the outset that it’s up to them to get their book in front of readers. It would be lovely to hear other hybrid authors’ experiences, perhaps if they’ve gone in the opposite direction to me. Hope you enjoy the book, Debbie!